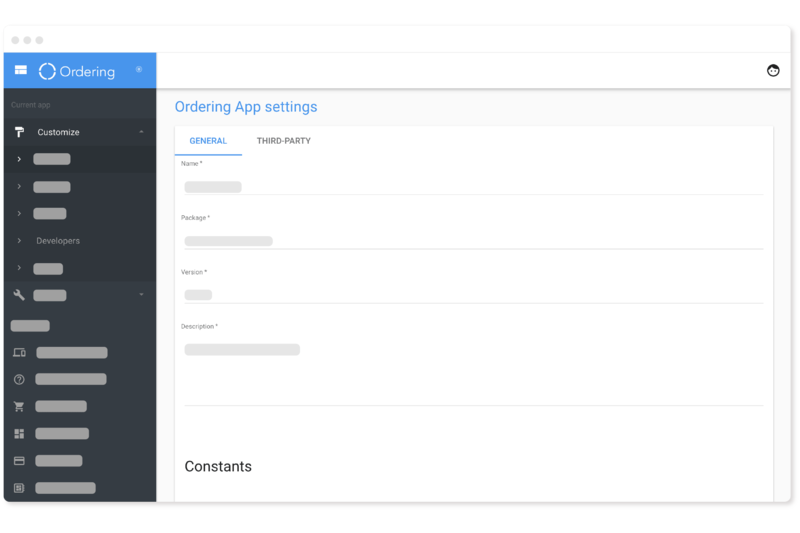 Ordering Builder | Ordering Online System | Build your Apps! 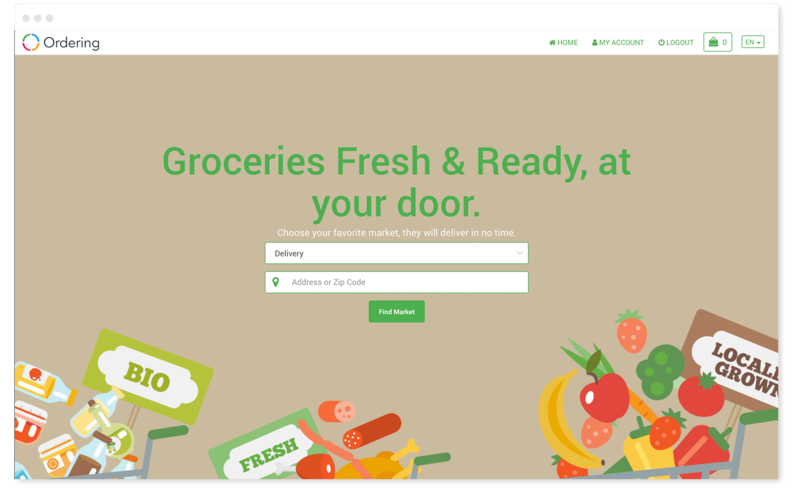 Customize your Ordering Website and make it your own. Use Ordering Builder to customize the Ordering products you have acquired. Easily modify the looks of your site and make it your own! 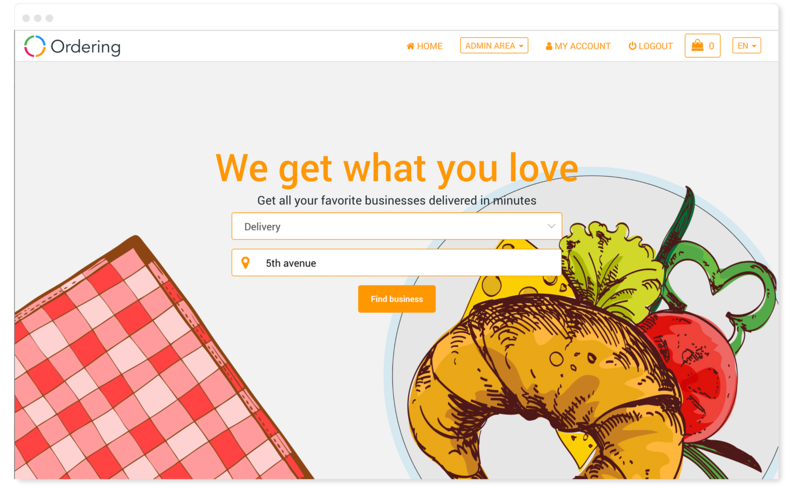 Customize color palette and images for your Ordering Website. Anybody can do it, no coding skills required! 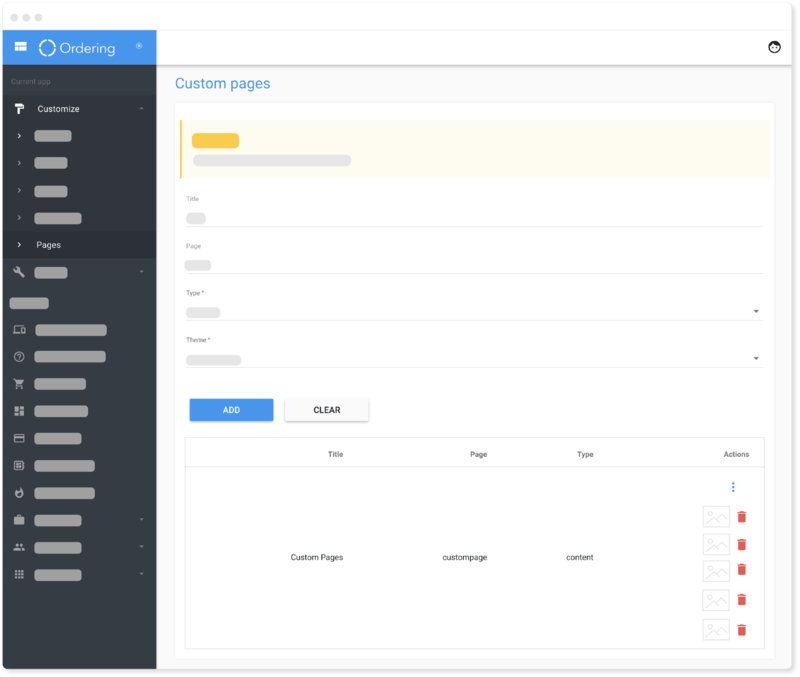 Customize your site's pages and make sure all the important stuff is in there. The tools you need to get your building going. 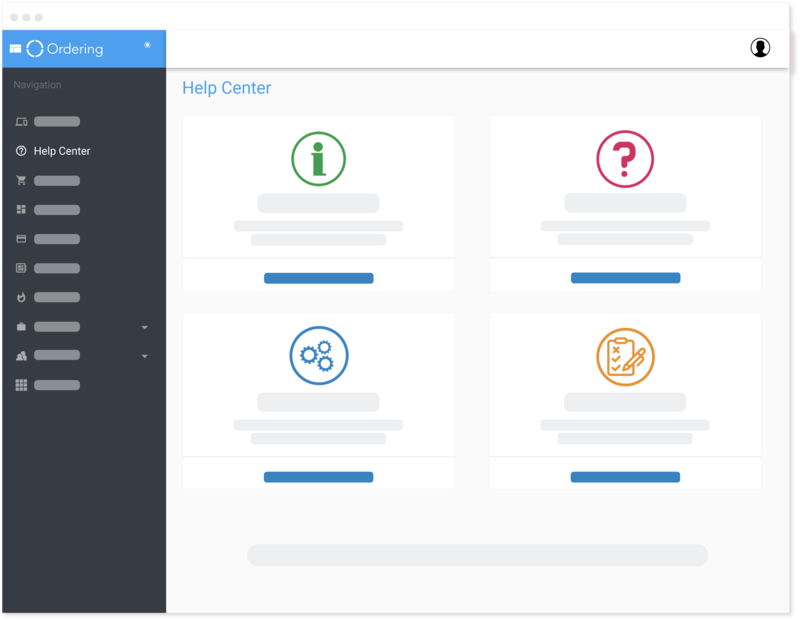 Access our knowledge base, ask questions, submit a request to improve the platform's capabilities and report bugs. All in a single site. Stay up to date on the most recent releases. We are constantly developing new solutions to make sure your needs are well covered. Deeply customize your site and make it outstanding! 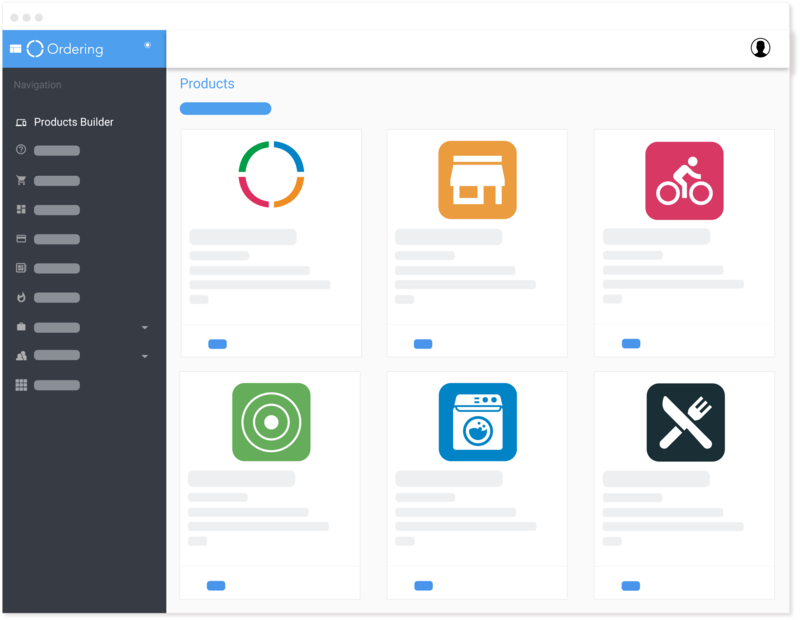 Visit our Marketplace and discover the extensions that can enhance your site's capabilities. The solutions you've found so far don't quite cover your demands? Request a quote for your specific needs. Set up your billing information. Do I need developer skills? Not at all. 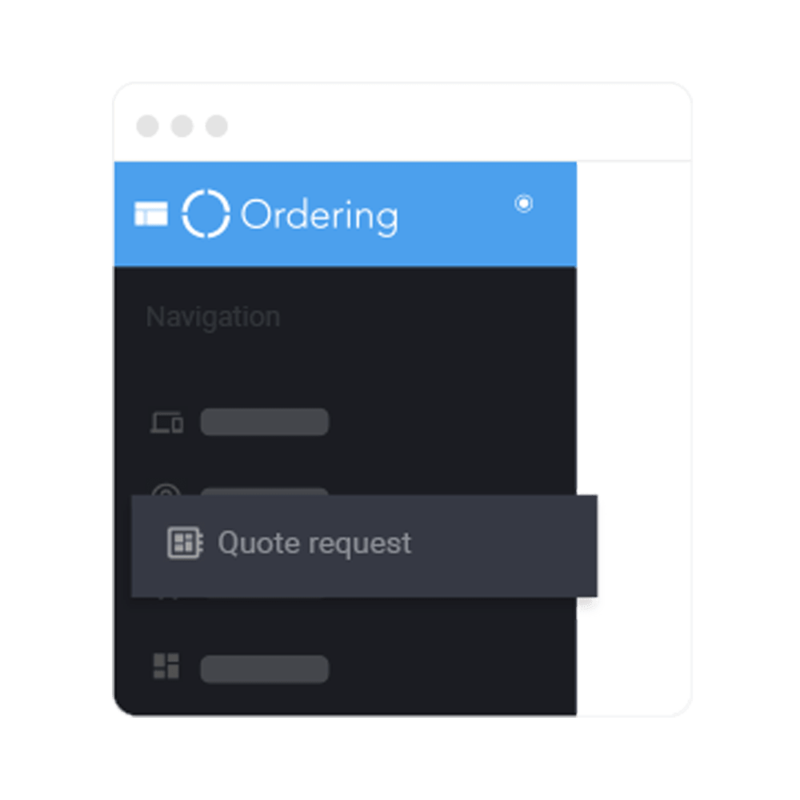 Customizations can be achieved without writing code. 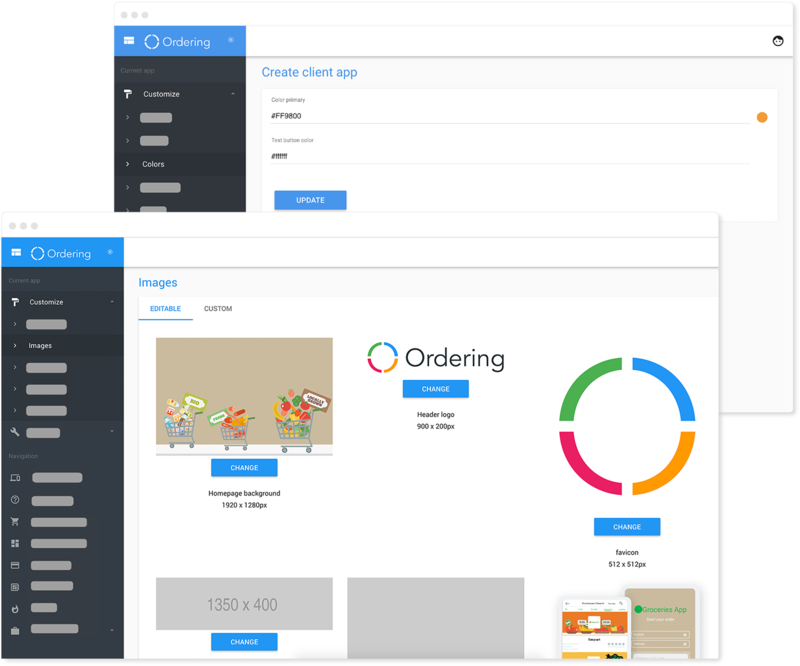 Which products can I modify using Ordering Builder? 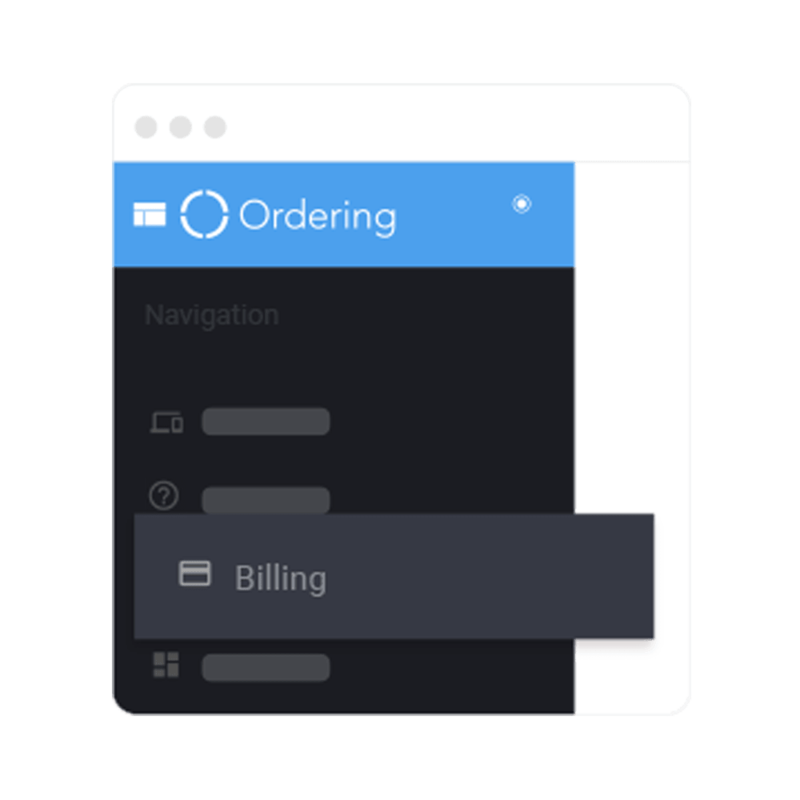 All of the products that you have purchased are automatically available to be enhanced using Ordering Builder. What exactly can I modify in the platforms/products? All the looks & custom settings in your platform. 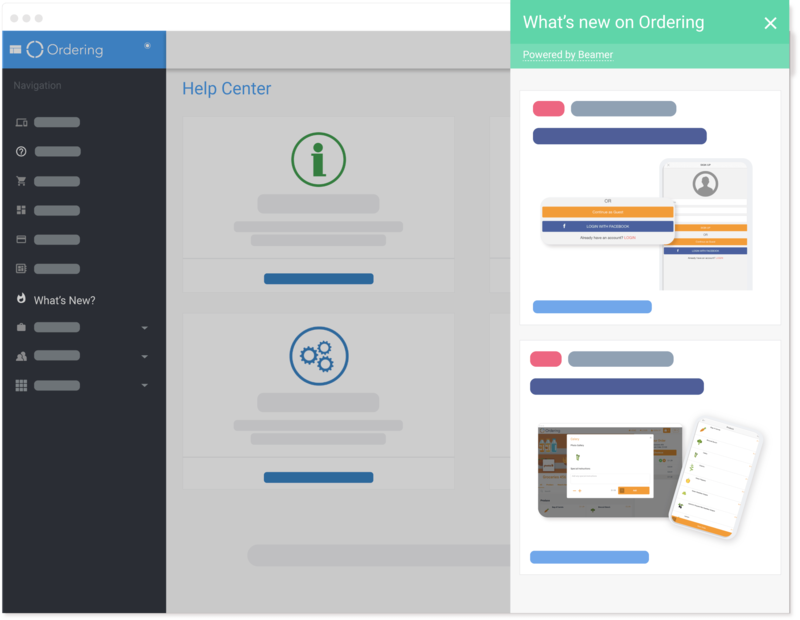 What are the benefits of using the Ordering Builder? A higher level of customization can be achieved in any of Ordering's products. This allows businesses to further differentiate their platform from the competition and offer more value to customers.